Samsung has announced that it is opening a new Artificial Intelligenece (AI) center in Montreal, which is Canada’s second largest city and also features one of the world’s fastest growing AI communities. This is Samsung’s fourth AI Center in North America, the company also has centers in Toronto, New York and Silicon Valley. 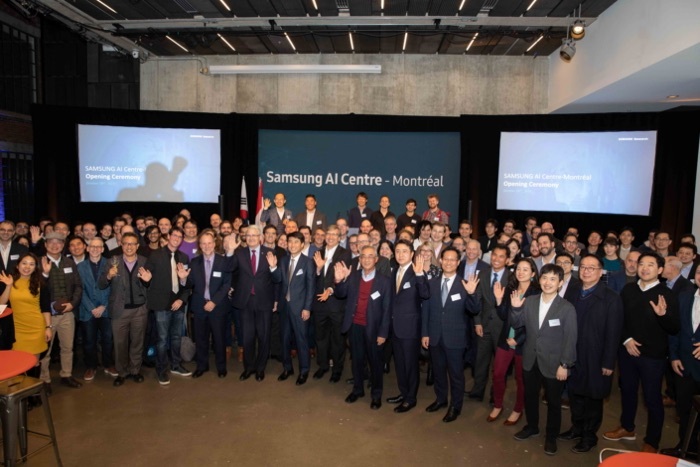 At the opening event, there were about 100 guests in attendance including Marc Garneau, Canada’s Minister of Transportation; Philippe Tomlinson, mayor of Outremont and member of Montreal’s Development Commission; Seunghwan Cho, Executive Vice President of Samsung Research; Geunbae Lee, Head of Samsung AI Center in Seoul and Larry Heck, Head of AI Centers for Samsung Research America. You can find out more information about Samsung’s new AI center over at the company’s website at the link below.